Callaway E. Beat it, impact factor! Publishing elite turns against controversial metric. Nature. 8 de Julho de 2016;535(7611):210-1. Garfield E. The history and meaning of the journal impact factor. Jama. 2006;295(1):90-93. Metze K. Bureaucrats, researchers, editors, and the impact factor – a vicious circle that is detrimental to science. Clinics. Outubro de 2010;65(10):937-40. Lawrence PA. The mismeasurement of science. Curr Biol. 2007;17(15):R583-R585. Seglen PO. Why the impact factor of journals should not be used for evaluating research. BMJ. 1997;314(7079):498. Vale RD. Evaluating how we evaluate. Mol Biol Cell. 1 de Setembro de 2012;23(17):3285-9. BORGES, Nuno. O Factor de Impacto e a avaliação da publicação científica. 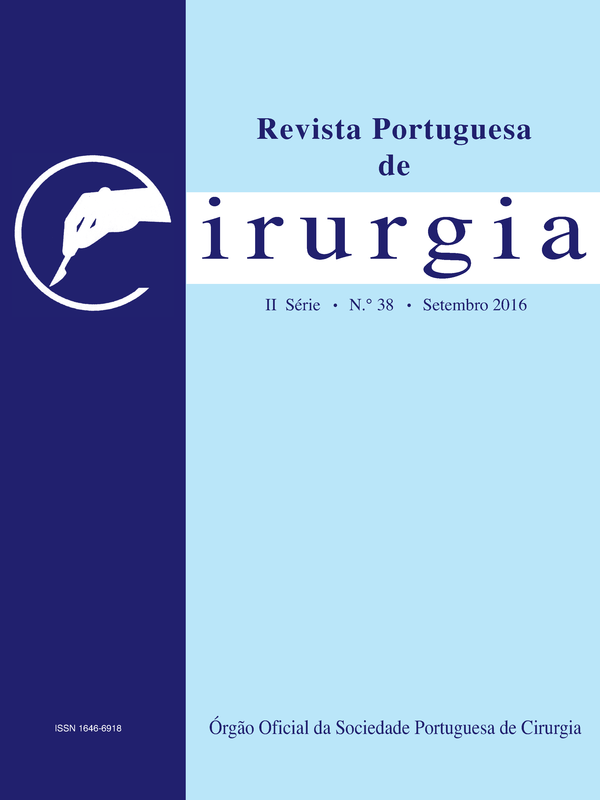 Revista Portuguesa de Cirurgia, [S.l. ], n. 38, p. 7 - 8, set. 2016. ISSN 2183-1165. Disponível em: <https://revista.spcir.com/index.php/spcir/article/view/614>. Acesso em: 22 abr. 2019.